Please type your desired tags, e.g. Materials and Polymers, Theoretical, Physical or Analytical, MRI, Biochemistry, Systems Engineering, STEM Writing, Consulting, Online Education, Bionan, water power, Dietetics, Motherhood & Reproduction, Intimacy, Alcohol Studies, Rhetoric and Composition Theory, and etc. Limited supply of fossil fuels and environmental pollution issues require renewable energy technology using hydrogen as energy carriers. Three key technology components are hydrogen production, storage, and utilization in fuel cells. At the core of the renewable energy technology research is new materials to convert energy from one form to another (e.g., photon energy to electricity in solar cell, or chemical energy to electricity in fuel cell). There are extensive research efforts to develop new nanomaterials with higher efficiency in the energy conversion and optimized functional properties, but most of them are driven by empirical trial-and-error material development process. Computational modeling can provide detailed understanding on the microscopic mechanisms and properties nanomaterials for diverse applications. Our research is to apply molecular dynamics and Monte Carlo simulations to identify atomic structures of nanoscale materials and use quantum simulations to investigate functional properties through electronic structure analysis. Target materials systems are carbon nanotubes, semiconductor nanowires, metal nanoparticles, and oxide nanomaterials in diverse functional nanocomposite nanomaterials. Device scaling is leading to sub 32nm device feature size and continuous scaling requires new device materials such as high-k gate dielectric (replacing silica), metal gate electrode (replacing doped poly-silicon), and high mobility channel materials (e.g., Ge or compound semiconductors replacing silicon). These new device materials form interfaces and the interface properties critically control the device performance. These interfaces are very thin (nm scale), and computational modeling can provide critical insight to solve many technological challenges in developing the high-k gate stack as future device technology. Our research will apply atomistic modeling method to determine the atomic structure of the interfaces and quantum mechanical simulations to calculate the electronic structures. The analysis of simulation results would provide detailed insights on the nano-scale structure-property relationship of high-k gate stack materials. Computational modeling study of nanomaterials with applications to nanoelectronic devices and renewable energy technology. 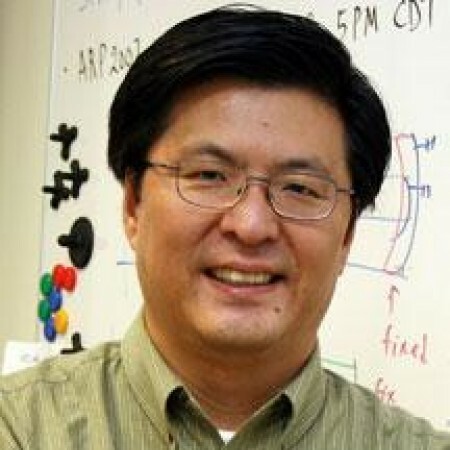 Research by UT Dallas engineers could lead to more efficient cooling of electronics, which would pave the way for quieter and longer-lasting computers, cellphones and other devices. Much of modern technology uses silicon as semiconductor material. But research recently published in the journal Nature Materials shows that graphene conducts heat about 20 times faster than silicon. The Nature Materials paper incorporates the findings of researchers at UT Austin, who conducted an experiment focused on graphene’s heat transfer. They used a laser beam to heat the center of a portion of graphene, then measured the temperature difference from the middle of the graphene to the edge. Cho’s theory helped explain their results. 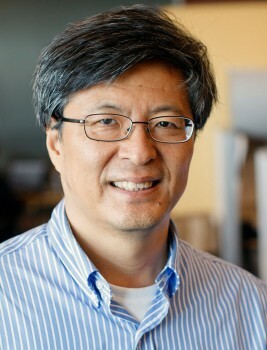 The Nature Materials experiment was done in collaboration with Shanshan Chen and Weiwei Cai of Xiamen University in Xiamen China and UT Austin; Qingzhi Wu, Columbia Mishra and Rodney Ruoff of UT Austin; Junyong Kang also of Xiamen University; and Alexander Balandin of the University of California, Riverside. They die at the most inconvenient times. Cellphones go dark during important conversations because a battery hasn’t been recharged. Or the automotive industry revs up with excitement for a new battery-powered vehicle, but it needs frequent recharging. Or yardwork is delayed because the battery for your string trimmer is dead. 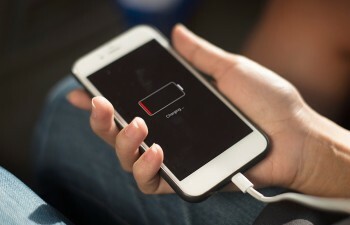 Researchers at The University of Texas at Dallas have developed a high-powered, environmentally safe lithium-sulfur substitute that could drastically lengthen battery life. 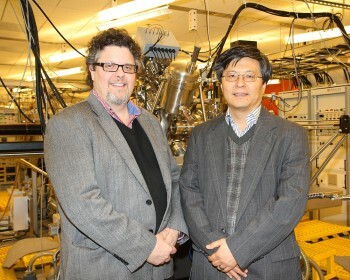 Their work has been published in the journal Nature Nanotechnology. A recent article in the journal Science details how researchers from the Erik Jonsson School of Engineering and Computer Sciencedevised a simple process that dramatically increases light generation from certain atomic-sized materials. The findings could have a broad impact in the advancement of LED displays, high efficiency solar cells, photo detectors, and nano-electronic circuits and devices.